Today, I’m going to share what I believe are the top 10 MLM Companies in the United Kingdom. People all over the world have dreams of financial independence. Many are discovering that owning and managing a home based MLM business is a great way to attain that dream. Yes, it does take work; you cannot just sit back and expect that profits will roll in. 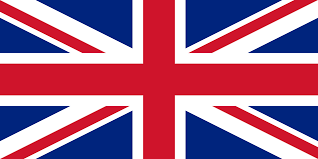 The United Kingdom is a country where MLM has become highly accepted. In the paragraphs below, I am going to tell you the top 10 MLM companies in the United Kingdom, as I see it. I am using various resources to determine this, but I must say, it is just my opinion and your opinion may differ. Feel free to share your thoughts in the comment area at the end of this post. Also, I am putting the links to the company websites in the reference section. If you want to try the products or start a business, you can do so through those links. Disclaimer: Neither I nor Online MLM Community is affiliated with the MLM companies mentioned in this post. This information is for educational purposes. This well known beauty and personal care direct sales company was founded way back in 1886. The company was headquartered in New York City, but because of the huge love of Avon in Europe, the headquarters are now in London, United Kingdom. You will have no trouble finding an Avon person in the United Kingdom. When the brothers Jonas af Jochnick and Robert af Jochnick founded Oriflame in 1967, they marketed their high quality cosmetic line in England. The headquarters for Oriflame are nearby in Stockholm, Sweden. Many English women fell in love with the Oriflame cosmetics and became independent representatives to share their cosmetic love and make money doing so. Founded in 1975 by Petter Mørck in Switzerland, Arbonne is now headquartered in Irvine, California. Arbonne has high quality cosmetics that are loved all over the world, but the United Kingdom has an extra special love for them. All Arbonne products are developed by a team of chemists in Switzerland and once perfected, they are produced in the United States. You can find Arbonne business owners all over the U.K. This MLM company was founded by Samuel Caster in 1993. Based in Flower Mound, Texas, Mannatech is a leading MLM company that sells dietary supplements as well as personal care products. Over the last 6-7 years, Mannatech has grown substantially in the United Kingdom. It seems people are quite satisfied with the supplements and more and more are becoming Mannatech representatives. Headquartered in Surrey, United Kingdom, Simply Naturals is a home grown English MLM. Founded in 2012, this supplementation company has grabbed a huge portion of the English market. Simply Naturals is led by CEO Peter Willoughby. The company’s mission is to educate their market on plant derived nutrition. Based in Los Angeles, California, no matter where you travel, you will probably find an Herbalife home based business owner. This weight management and supplement company was founded in 1980 by the late Mark Hughes. The United Kingdom has its share of Herbalife representatives and the products are well accepted there. This is a United Kingdom based MLM company that is all about “going green.” It was founded in 2008 by Trever and Karen Blake. The company offers, through Wikaniko distributors, all environmentally friendly products. From teas to cleaning products and personal care products, everything is made from natural substances and safe for everyone. Wikaniko has a huge product line. It is only natural that Amway would be on the list. This MLM company headquartered in Michigan can be found all over the world and the United Kingdom is no exception. It was founded in 1958 by Richard DeVos and Jay Van Andel. Amway has a myriad of products that U.K. representatives sell to their clients. This MLM is also no surprise it is in the top 10. Headquartered in Scottsdale, Arizona and founded by Rex Maughan, Forever Living Products have a range of Aloe Vera and Bee derived based products. These include drinks, supplements, cosmetics and more. The company was founded in 1978 and continues strong growth in the United Kingdom. This is a United Kingdom based service MLM company. And you can sell and recruit to make money and make your services free. This is the #1 MLM company in the U.K. in my opinion. As you can see, network marketing is becoming a huge business format in the United Kingdom. 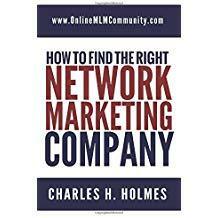 If you live there and have considered MLM, you should probably check out these network marketing companies first. Do you have any questions or comments? Just post them below. Thank you and please share this article with others. Greg Boudonck is a full-time freelance writer and book author. You have probably read many of his articles either ghostwritten or in his name. You can find his books on Amazon, Barnes & Noble and more. Be sure and visit Greg’s website which is LancerLife.com. CBD seems to be hot everywhere. I know it is here in the USA. Working with a company that specializes in CBD, and with mentors with proven experience is the winning 1-2 combination. I wish you all the best in your new business venture.